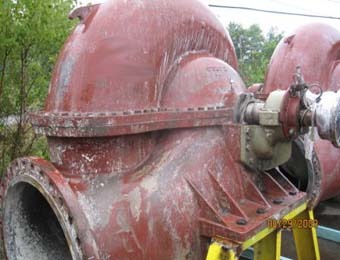 Description: One (1) Ahlstrom ZX80Y-2 Double Suction Pump, Size 36x32-34, 33,500 GPM at 116 ft. Head. Body and Impeller 316 SS Construction. 33.46" Diameter Impeller. Inlet 36" / Outlet 32". 8-Vane Low Pulse Impeller.